Alright, here in this article, it introduces different kinds of free iPhone MP3 converter, they all have the ability to convert any music to iPhone MP3 format, online or offline, but the difference lies where their amazing additional features and their shortcomings are. With DearMob iPhone Music Manager installed on your Mac or PC, you are free to transfer songs and music playlists in any formats from computer to iPhone, because this iPhone MP3 converter is going to convert all music into MP3 or AAC automatically depends on what target format you set. For most of iPhone MP3 converter, no matter online or offline, they only live with the ability to convert video to MP3 or convert other music formats to iPhone MP3, but after that you need a tool to transfer those MP3 music or playlist to iPhone right? DearMob iPhone Music Manager is just what you need to convert and transfer MP3 music to iPhone, and the amazing point is, this iPhone MP3 converter is free! 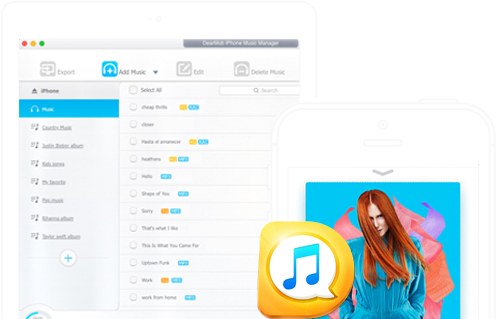 If you don't prefer to use iTunes to add music to your iPhone after you have converted to MP3, DearMob iPhone Music Manager is you best choice as it integrates both features of converting music to MP3 and transfer music to iPhone in one click. Let's see how this could be done in a few easy steps. Firstly, get this iPhone MP3 converter functioning by free downloading it on this page for your Mac or PC and then quick install and launch it. Step 1: Insert your iPhone to computer with USB. Step 2: On this iPhone MP3 converter user interface, click Add Music and then select music from the playlist or music folder. Step 3: The music you selected, no matter what formats it will first be automatically converted to MP3 or AAC (depending on your setting) and then you can click the Sync button. Step 4: The music or playlist will be saved to iPhone in MP3. In addition to convert music to iPhone MP3 and transfer music from computer to iPhone, what else is this free iPhone MP3 converter capable of? 1. Manage music on iPhone: create, delete, update music playlist on iPhone. 2. 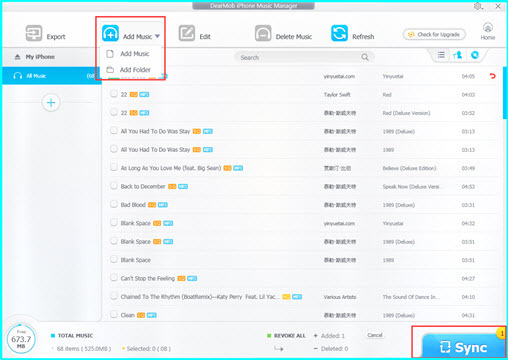 Edit music files on iPhone: Change music profile or playlist information such as artist name, album, comments, etc. 3. Crop and create up to 40 seconds iPhone MP3 ringtone and add ringtone to iPhone so that your calls stand out from others. Embedded with all those amazing functions, and believe me it is 100% safe and free, this iPhone MP3 converter, would totally be your default iPhone music manager. You could find a lot of online music download platform with the ability to convert YouTube to MP3 file online, such as clipconverter.cc, youtube2mp3.org, etc. How to use this type of iPhone MP3 converter to convert YouTube video to iPhone music? Step 1: Copy the URL of the YouTube video and then paste on the address box of this online iPhone MP3 converter platform. Step 2: Choose download as MP3 or convert to MP3, the MP3 music file will be downloaded on your computer with a few seconds. Step 3: Ah-oh, if you plan to add those MP3 files on your iPhone, you'll have to transfer it with iTunes or without iTunes by applying music transfer tool such as aforementioned DearMob iPhone Music Manager. But the iPhone MP3 converter service and the iPhone MP3 converter software recommend in this article are both free, so it is worthy to try it no matter it is a direct solution or a workaround way. Besides, DearMob iPhone music manager offers a two-way transfer which allows you to not only import computer MP3 music to iPhone but also export iPhone music to Mac/PC/iPad/iPod as well as to another iPhone. How to export photos from iPhone to Windows 10 PC? Follow this guide with X ways to import photos from iPhone 7/7 Plus/6S/6S Plus/6/5S/SE to Windows 10 as well as 8/7 PC at will. My photos won't upload to iCloud Photo Library even when Wi-Fi works alright and iPhone charged with an original cord. This page offers a full collection of iCloud Photo Library not uploading problems & fixs. iTunes doesn't recognize iPhone, iPhone not showing up in iTunes Windows 10 this kind of problems has been asked frequently on Apple forum. Don't know what to do? 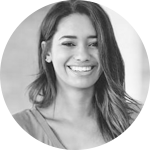 Check the solid solutions in this article.